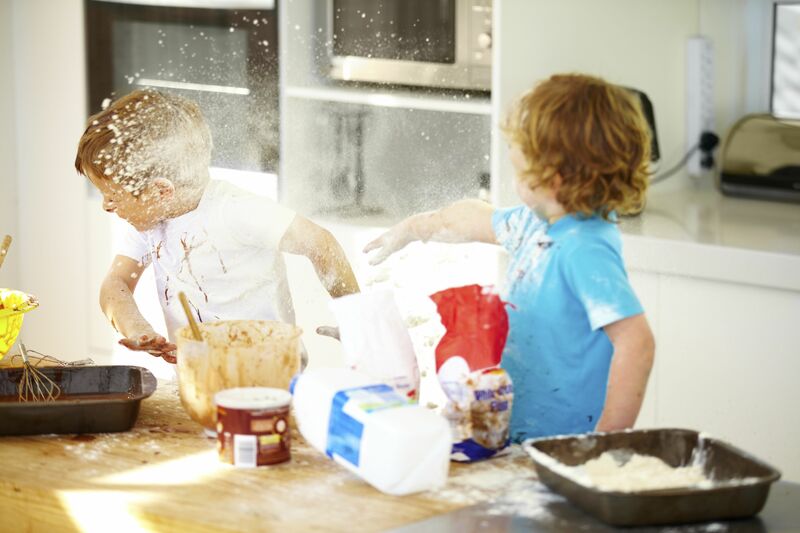 There are so many wheat-free & nut-free flour choices available today, it’s exciting for any foodie! But there are many who are also feeling a little lost amongst the choice. By request I’ve listed 20 different flours/meals below, from Almond to Tigernut, with a grind about each one of them. I hope it helps when planning your next foodie masterpiece!! Brown rice flour – ground brown rice makes this flour and is a gluten free, wheat free option to use in sweet and savoury recipes; including thickener for sauces, coating fish, chicken and other proteins and also for sweet brownies. It’s high in fibre and B complex vitamins and a nutritious source of complex carbohydrates. Chia seed meal – ground chia seeds make this very fine seed meal. It’s high in omega essential fatty acids, fibre and protein. It’s extremely absorbent, therefore recipes will need to accommodate with extra liquids. Chickpea flour – is made from ground chickpeas and very nutritious, high in protein and fibre. Gluten, grain and wheat free alternative often used in Indian and Asian dishes such as coating vegetables before frying and making flat breads. Flaxseed meal – ground flaxseeds make this and it’s high in fibre, essential fatty acids, protein and minerals. It’s a fine – textured meal that’s great to add to recipes for a nutty taste and added nutrition. Favourites include adding to sweet and savoury biscuits and muffins, also perfect with smoothies and fruit salads. Green Banana Flour– is gluten free and has a high starch content, allowing less use of it than required for everyday recipes using flours. 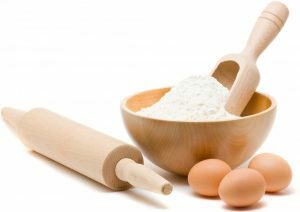 Approx 2/3 Cup of banana flour is needed for every Cup of suggested wheat flour. It has a distinct banana flavour and once baked has a tasty and earthy tone to it. Also a good source of resistant starch, a prebiotic for good gut health, as well as high in fibre, with a range of vitamins and minerals. Hemp flour – ground hemp seeds make this flour and provide a nutty taste, fine texture and a great high protein, gluten and grain free alternative flour. Recipes to best use it include pancakes, muffins, added to breads and cereals and baked desserts. Also use as a sprinkle with smoothies and fruit bowls. Oat flour – ground whole oats provide a very nutritious flour alternative with a subtle taste. It is one of the highest sources of soluble fibre of any grain /flour. Also high in protein and healthy fats, relatively low in carbohydrates and great addition to recipes such as breads, cookies and scones. Pumpkin seed meal – made from ground pumpkin seeds, also known as pepitas, is very nutritious and packed with protein, healthy fats and minerals. Works well when combined with other alternative flours in recipes, such as with almond meal and pepita meal biscuits. Quinoa flour – ground quinoa seeds make this flour and it delivers high amounts of plant protein, fibre and minerals. It is a gluten free, grain free substitute suitable for baking sweet and savoury recipes. Spelt flour – a very versatile flour choice with a nutty and mellow taste, containing a balanced ratio of essential omega fats 3 & 6 plus high fibre & mineral content such as zinc, iron and potassium. Although not gluten free, it tends to be more easily digested by those who can’t tolerate wheat. Because it carries a very similar cellular structure to wheat, can be directly substituted in recipes with good results. Soy flour – is made from whole ground soy beans, is gluten free and provides high amounts of protein, fibre and iron. It’s commonly used as a wheat flour alternative in sweet and savoury recipes such as muffins, cakes and breads as well as used to thicken sauces and soups. Sesame seed meal – ground sesame seeds make this flour/meal and it’s a very popular alternative for both wheat and nut based flours. It has a similar texture to almond flour/meal and is often substituted to make a nut free recipe. Sorghum flour – is made from grounding the gluten and wheat free cereal grain and provides a high protein, tasty flavour to many recipes. Adding approx 20% sorghum to flour in recipes add nutrition and works well to make biscuits, breads, cakes and cookies. Sunflower seed meal – ground sunflower seeds make this and it provides a great alternative for wheat and nut flours in many recipes. It’s high in protein, healthy fats and minerals and has a heavier texture than sesame seed meal. Great for including in bread, cakes and using as a sprinkle to cereals and smoothies. Tapioca flour – is made from ground dried roots of the cassava plant. It’s a gluten free, starchy and slightly sweet tasting flour that’s great for thickening foods like soups, sauces, puddings, dips and pie fillings. It also works well to provide a springy texture to gluten free recipes and helps to make a crispy crust. Teff flour – made from ground teff seeds and is very versatile, gluten and grain free. Available in 2 colours/flavours; brown and ivory. Ivory teff has a mild flavour whereas brown teff has a nutty, earthy flavour. Naturally high in protein, iron, calcium, fibre, zinc, and resistant starch (great for gut health and blood sugar balance). Popular uses for teff flour in recipes includes stews and porridge, also traditionally used to make flat breads. Add the seed or flour it to almost any vegetable dish to increase protein, overall nutrition and flavour. Tigernut flour – made from tigernuts and is nut free, gluten and grain free. Tigernuts are tiny root vegetables cultivated from Africa that are naturally high in fibre, resistant starch, healthy fatty acids, plus vitamins and minerals such as C, E, calcium, magnesium and iron. Tigernut flour is slightly sweet and light in texture, great for making desserts, biscuits, muffins, pancakes and pastries. When using it in recipes, substitute it for a ratio 1:1 with any flour. Was there a flour you were looking for but couldn’t find on this list? Please comment below and I’ll happily research the grind about it. Tracie Connor is an accredited nutritionist & media spokesperson specialising in womens health, food allergies, weight management and fertility. Regularly featured in the Sydney Morning Herald, Womens Health & Fitness Magazine, Huffington Post and on ABC Radio. Based in Brisbane, Australia for personal consultations, personal shopping tours and in-home tailored pantry makeovers with health fund rebates available on services. That was really interesting. I loved that you put the recipes with the different meals/flours. I have not heard of tapioca for years. My Mum used to make a tapioca pudding when we were kids. Wish I could ask for the recipe.